As many public high school students know, Michelle Obama’s “Let’s Move” campaign resulted in the al la carte service being removed from all schools in an effort to support healthy choices and provide healthier foods in the school system. Now that Obama’s time in office is coming to an end, so is this campaign. Al la carte will be coming back, with more and even tastier options. 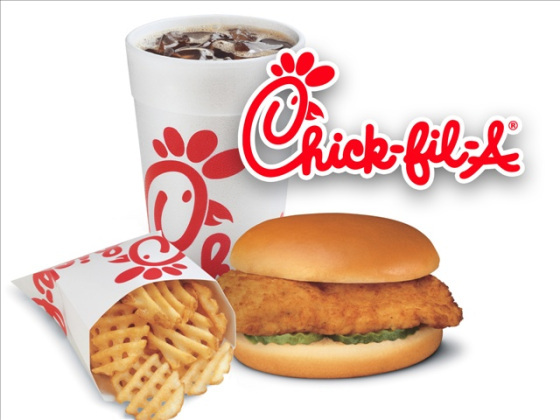 Chicken tenders, curly fries, pizza, and now Chick-Fil-A will all be offered. The addition of Al la carte to the cafeteria is predicted to almost double the amount of lunch sales during lunch. “I’m very excited for Chick-Fil-A to be served at school,” said Nguyen Monee. “I think we will sell a lot more lunches and the students will be happy to eat school food again,” says North Springs cafeteria worker Gud Eets. hes and chicken nuggets. If this is successful, the addition of fries and milkshakes will be next. North Springs is one of the participating schools and believes that this will be a successful addition to our cafeteria. Many students were very upset at the removal of pizza and fries and the addition of required fruits and vegetables back in 2010. Michelle Obama’s “Let’s Move Campaign” was created in efforts to fight childhood obesity and create healthier lifestyles. Junior Ida Ho was in middle school when the campaign was put into place and says, “I remember when they took away chicken tenders and fries. They were my favorite and I got them everyday. Once they were gone I started to bring my lunch and have been ever since.” As a result of the campaign, kids began to either bring their own lunch or just not eat and the schools made less money and sold less school lunches. This new policy will be implemented on April 1, 2016.